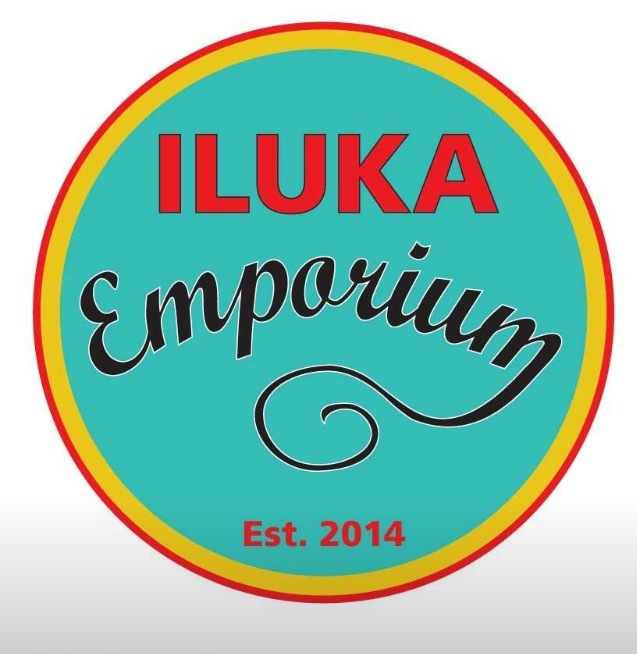 Iluka Emporium – An Eclectic Art Space featuring distinctive local Art, Upcycled objets d'art and Collectibles by the peaceful Clarence river. Thurs, Fri, Sat, Sun, Mon 9 -3. We are a group of Artists, Upcyclers and Collectors of unique and eclectic works. Step into our treasure trove to browse. Right next to the Laneway Cafe. Rosie Vesper (right) custodian of several tribes and the Bunjalung people. She brings works to you that tell stories of where she lives. Rosie paints “what is in the sea, the river, in the sky and on our land.” Her works reflect the artist’s connection with country and her love of the region. Jenn Rowe, ( left) Indigenous Artist of Tahuni Lingah Nation Tasmania, Adventurer, Art Experimenter. Residing in Yamba, I am in awe of the natural beauty and deep spirituality of the river, ocean, land and sky. Being in Yaegl country I immerse myself in the strong culture and this is reflected in how I express those natural elements I have an affinity with. Using acrylic paint and occasionally art pens on canvas, I transfer the feelings of connection, respect and symbiosis through the use of contemporary Indigenous art techniques, materials and style. My ancestors in Tasmania were shellers and I also practice the craft of traditional shelling for jewellery making. Producing a piece of jewellery involves a long process from the collection of particular, significant shells and other organic materials, their cleaning and preparation, and then the stringing. The final step is the finished unique piece of Story jewellery. Underlying my practice is the need to showcase Indigenous knowledge and educate the population about traditional practices that have ensured the survival of Indigenous Australian since the Dreamtime. Through art, I can help maintain the interest, engage in dialogue and stimulate conversation that supports and elevates the status of Australia’s First Peoples and increase the knowledge of our country as the traditional custodians. I grew up in the beautiful holiday town of Byron Bay. It’s my home. and loved the photographic process. Films, layering transparencies, studios & darkrooms is where I started experimenting with photography & art mediums. Placing images on ceramics, glass and textiles…anything. … loved it & do miss that naive exploratory curiousness. Since those creative youthful days, I travelled, around Australia & parts of the globe, gathering a stock of images with my eyes’ mind…and on film. for my brother 15 years ago. I like to think that my mirror prints bring the viewer into the scene. Reflecting the light & sharing the ‘beach-love’. I’m a natural light photographer, an image-maker…always visualizing. Commission work always welcomed, as creativity is a melding of minds. This exhibition of my work is called ‘Labour of Love’. It showcases a mixed genre of my art in different mediums and subjects. I moved into the lovely Clarence area in March last year from the south of Brisbane. I am married with three grown up children and have two gorgeous grandchildren. I have always been creative. As a teenager and when my children were small, I dabbled in many crafts – cross stitch, pottery, fimo jewelery, paper tole, flower decorating, silk screening and sewing. My art journey began in 1994, having had my first art lesson learning Decorative Folk Art. I found my love for art and in the year 2000 I progressed into Fine Art. I had a home studio in Brisbane with a number of students to keep me on my toes. I attended a pastel class and fell in love with this medium, having mainly previously painted with acrylics and on wood!! I have attended many workshops and conventions with different artists over the years as you are always learning. These experiences have exploded my creative juices. I won a First Prize in the pastel section at the Lions Art Extravaganza Exhibition in Brisbane in 2015. A sunrise seascape. This was my first major award as I have received other awards for my art over the years. My favourite mediums to use is Pastel, Acrylic, Oil, Watercolour, Pencil and Mixed media. I love lots of texture and colour. My favourite genres to paint are: seascapes, landscapes, water, trees, sunsets, sunrises, birds, mixed media and abstracts. My inspiration comes from nature itself being the ocean, water, rocks, landscapes, flowers, animals, trees, leaves and birds. No two of my artworks are the same. I enjoy photography, so I have many subjects to keep me inspired. I have previously exhibited my work at the Old Schoolhouse Gallery in Cleveland, Brisbane and have had successful exhibitions. My work is now displayed at Ferry Park Gallery here in Maclean. Living here in the Clarence Valley, the inspiration never stops…….it’s deciding what to paint next!! And wishing there was more hours in a day!! Karin’s OPENING will be on the 15th December at 2pm. Live music and All Welcome! Iluka Emporium is very excited to host the September Feature Artist Exhibition “Common People” a life more ordinary by Kiya Saffigna with live music by Finn O’Neill. Exhibition Opening at Iluka Emporium September 8th at 3pm. This will be an afternoon not to be missed, come along and share the joy of Kiya’s work while reflecting on life, art, home, family, love, women and community and what it all means to you! Enjoy mingling on the sunny Emporium deck listening to talented, local, emerging musician Finn O’Neill. See you there. For this collection, Brooms Head Artist, Kiya Saffigna explores the concept of “coming home”. This body of work is a representation of the monotonous joy in each day and the acceptance of the simple and domestic existence often brought about by Motherhood. Instead of approaching her work with resentment of seemingly mundane experiences, Saffigna chooses to capture unremarkable content from her rural home, where she lives with her husband and three children, in the hope of giving the everyday a sense of enlightenment. Her developing impressionist style heavily references Australian symbolism, often with humour and sarcasm. The aesthetic is not modern, which touches on drawing comparisons between pre-feminism and contemporary ideas of the role of women. “Common people” is a visual narrative about coming home: to acceptance, to love, to letting go, and mostly, coming home to self: to painting, after 15 years.